A dissertation is a document usually a requirement for a doctoral degree especially in the field of philosophy. This long essay discusses a particular subject matter uses questionnaires and other sources of data and is used to validate its content. The questionnaire’s importance is evident in the processes of data gathering as it can make the dissertation factual, effective and usable. Having a well-curated and formatted document to follow when making a dissertation can be very beneficial to an individual who is currently immersed in the data gathering stage of the specific research study. We have gathered downloadable samples and templates of questionnaires so it will be easier for you to curate your own. 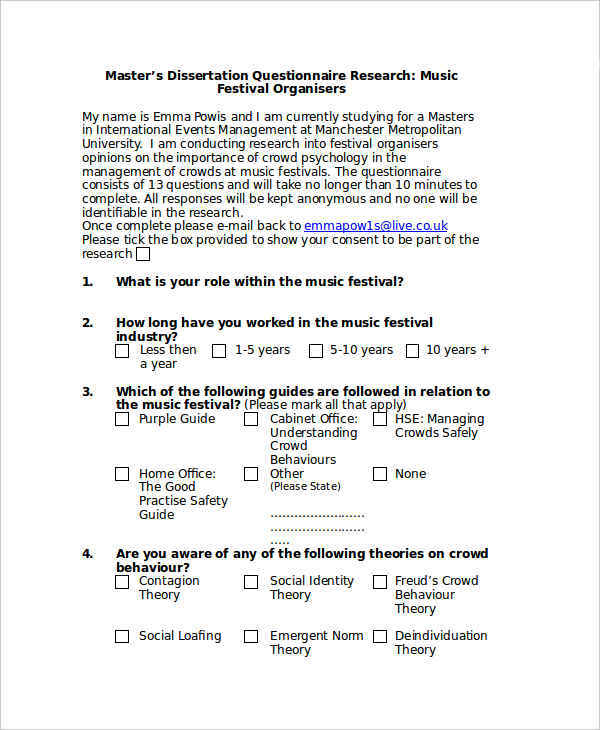 What Is a Dissertation Questionnaire? It is a document used in the processes of data gathering. Questionnaires in PDF used for a dissertation contain questions that can help assess the current condition of the community which is the subject of study within the dissertation. It specifies the questions that are needed to be answered to assure that there is a basis in terms of the results that will be presented in a dissertation. 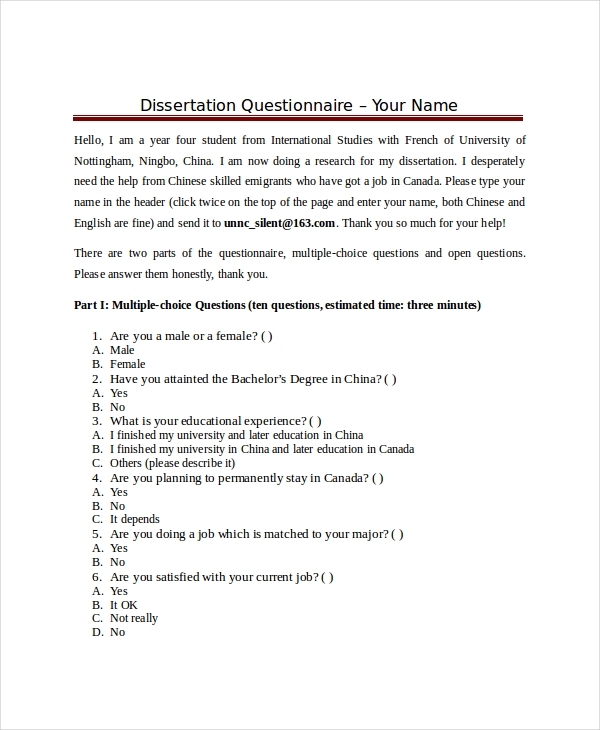 Be specific with the kind of dissertation that you are creating and align the purposes of the dissertation questionnaire that you need to make to your study. List down the information needed from the community who will provide the answers to your questions. 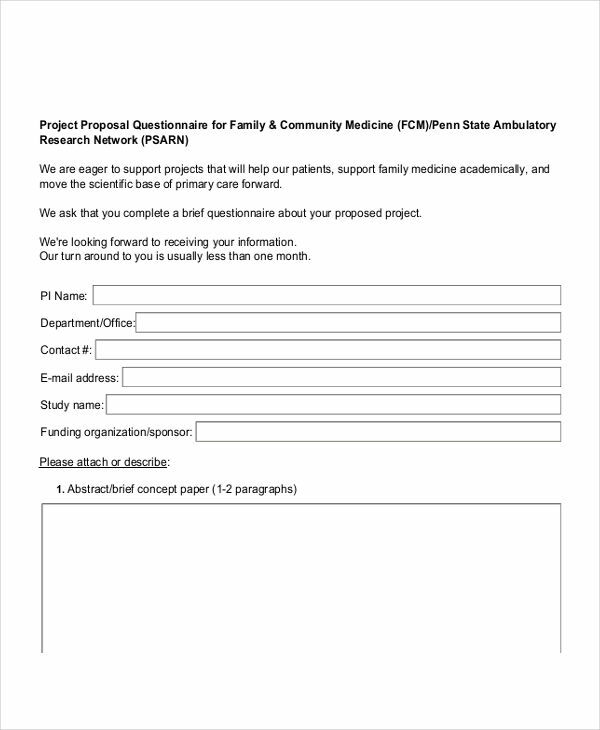 Open a software where you can create a questionnaire template. 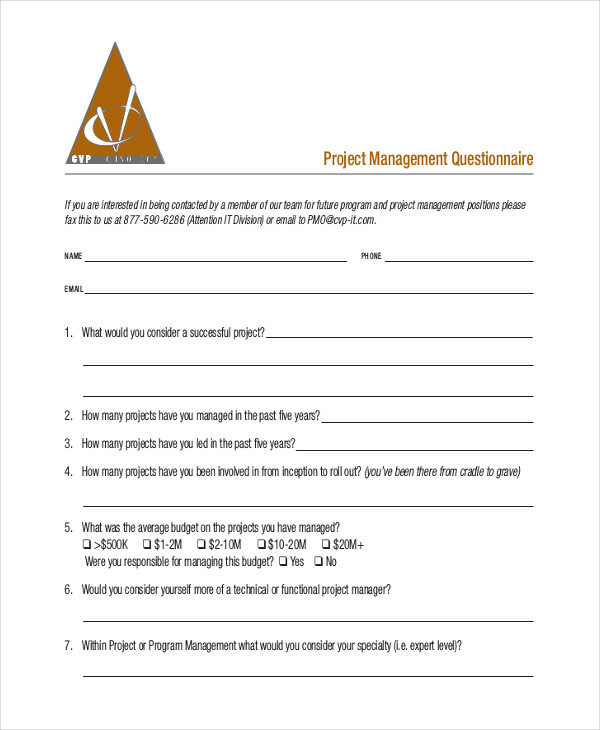 You may also download survey questionnaire examples and templates to have a faster time in formatting the document. The purpose of the dissertation questionnaire. The guidelines and instructions in answering the dissertation questions. The name of the person to who will use the questionnaire results to his/her dissertation. The institution to whom the dissertation will be passed. List down the questions based on your needs. Make sure that you are well aware of the data that is needed in your dissertation so you can properly curate questions that can supply your information needs. It will be best to use a dissertation questionnaire format that is organized, easy to understand, and properly structured. This will help the people who will answer the dissertation questionnaire quickly know how they can provide the items that you would like to know. Always make sure that your instructions in answering the questions are precise and directly stated. You may look at questionnaires in Word for comparisons. 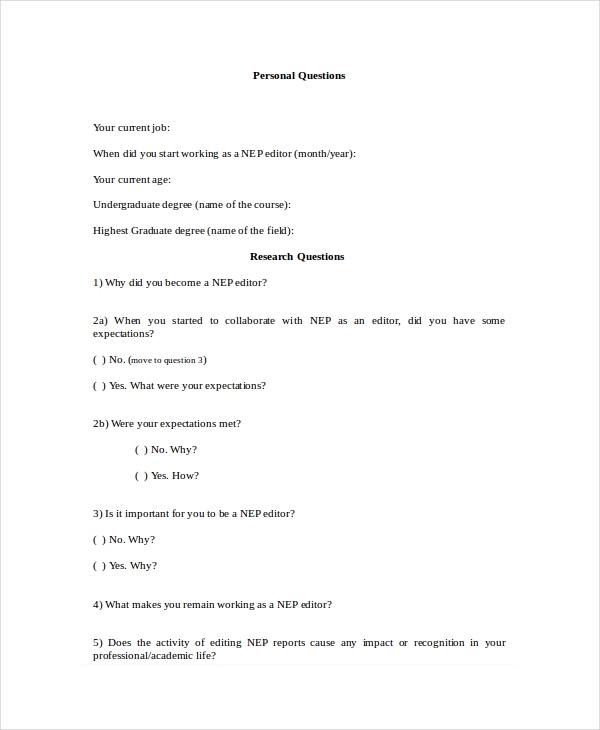 Doing this will help you assess whether there are still areas of improvement that you may tap with the content and format of the dissertation questionnaire that you have created. Keeping this guidelines in mind and implementing them accordingly will allow you to create a dissertation questionnaire that is beneficial to the processes that you need to have an outstanding dissertation.